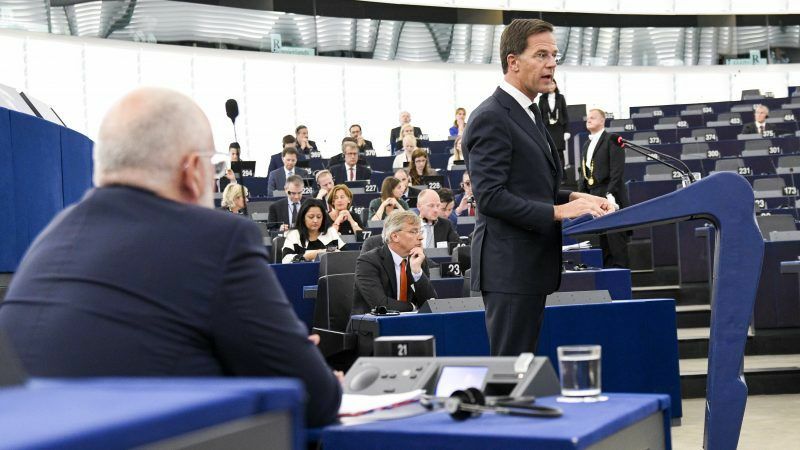 Dutch Prime Minister Mark Rutte said on Wednesday (13 June) the EU should use the tools that are already available to support reforms and protect the euro, in his latest criticism of proposals to deepen the bloc’s integration. Speaking to the European Parliament’s plenary session, the liberal politician made a passionate defence of European unity. But he said that “unity and ever closer union are not the same”. Member states remain deeply divided on how much solidarity there should be among them on issues such as migration or the eurozone. 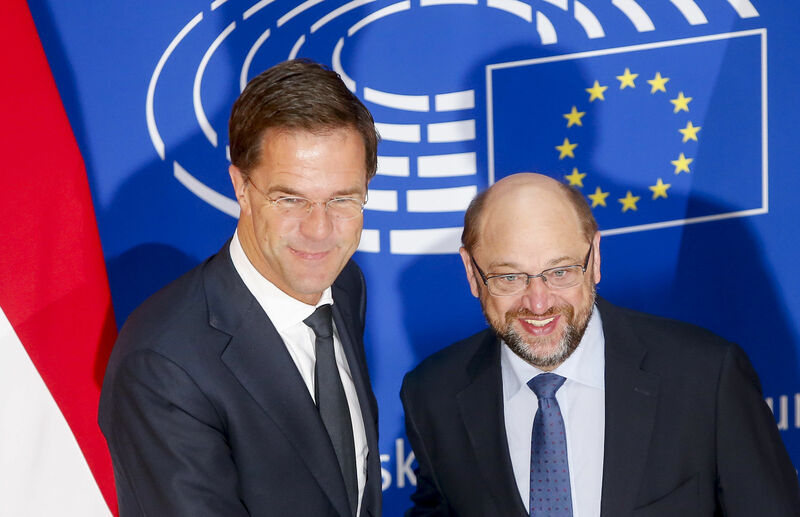 Rutte went against ideas floated by some countries, including France, and the European Commission to strengthen the economic and monetary union. “The basic promise of the euro was that it would bring us all greater prosperity – not a redistribution of prosperity,” he told MEPs. “The pleas now being made to establish a transfer union fly in the face of this promise,” he added. The Dutch prime minister not only opposed proposals that could bring a fiscal union, such as the eurozone budget championed by France, but he also rejected the Commission’s less ambitious proposals to set up a scheme of soft loans to support investment and a new fund to incentivise structural reforms in member states. Although Rutte defended using the resources to achieve a higher level of convergence among the national economies, he argued for using the tools already in place. “We already have hundreds of billions of euros available in the EU budget to support structural reforms at national level,” he recalled. As divisions among the capitals run deep ahead of the EU summit due later this month, Rutte said that “unity is the bedrock of our strength”. But in his view, the EU should limit itself to “core tasks” where the Union can promote its “effectiveness, strength and identity”. “The EU needs to under-promise and over-deliver,” he insisted. In this regard, he brought to the MEPs a proposal, a demand and few red lines before the crucial meeting with EU leaders. He called on member states and MEPs to increase the EU’s target to cut CO2 emissions by 55% by 2030, instead of the current 40%. He urged co-legislators to release the full potential of the single market, in particular in the services sector, because “we can’t pass up an extra trillion euros a year”. 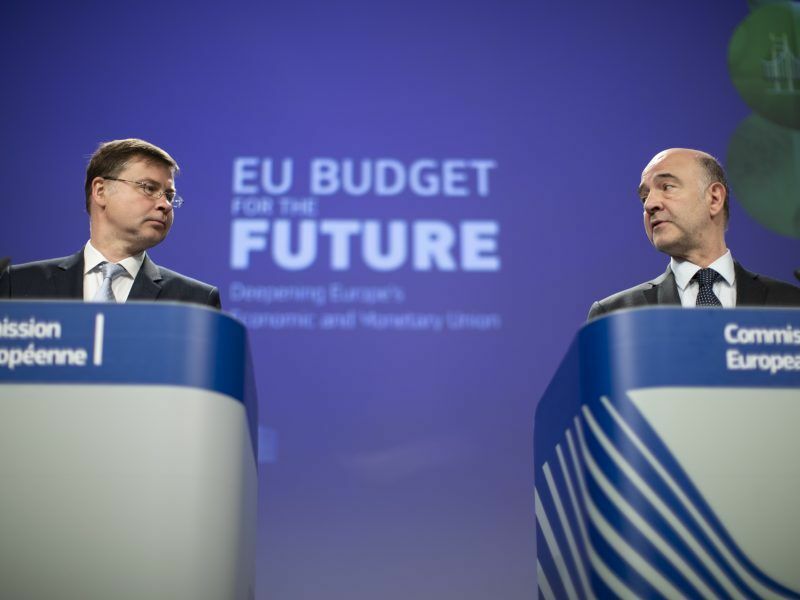 But he said that the EU’s next seven-year budget (2021-2027) must be smaller, even if wealthy states should pay more, “but not disproportionately”. 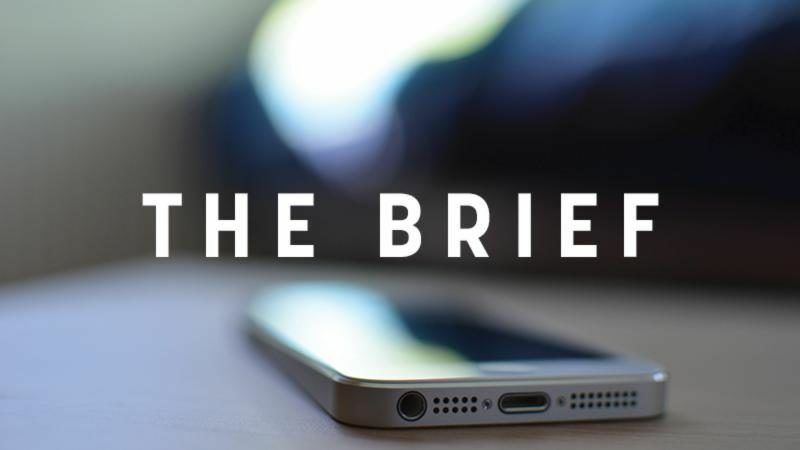 He also stressed that the EU should focus less on yesterday’s priorities, such as cohesion or agriculture, but also reform “the very substance of these policy areas”. 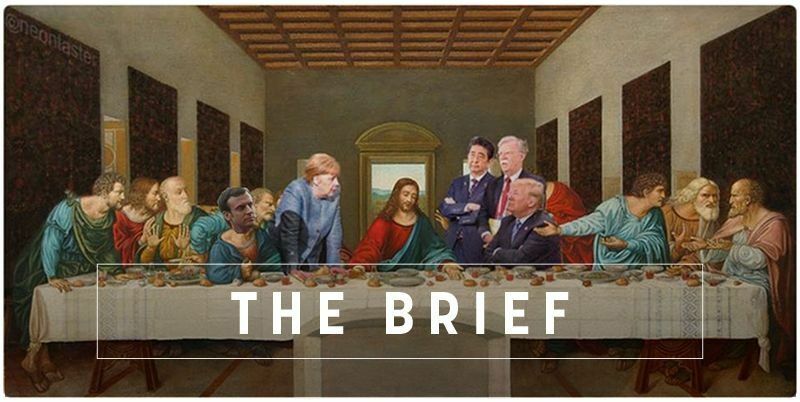 Against the backdrop of rising tensions with US President Donald Trump after the disastrous G7 meeting in Canada, Rutte agreed that “the relationship with our most important ally is no longer self-evident”. 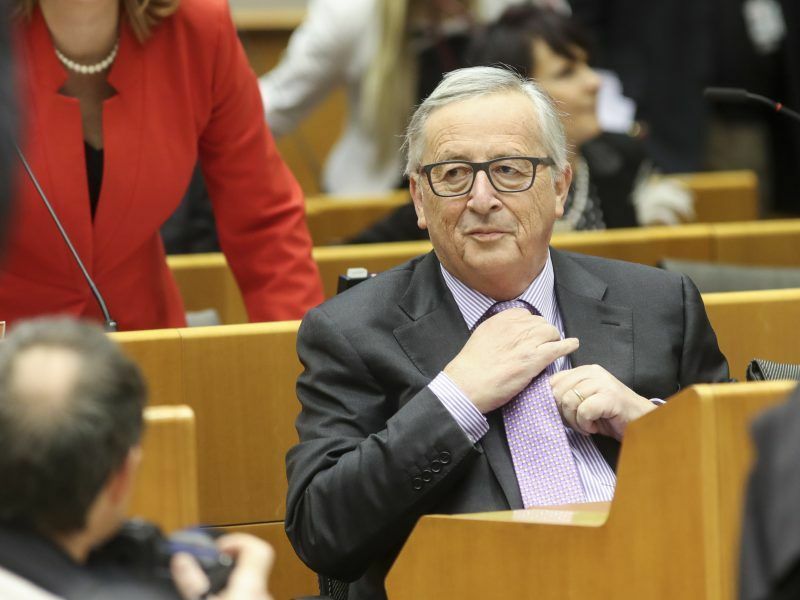 But contrary to other EU leaders, he said that Europeans “need to keep working as closely as possible with the US”. The “horror” summit finally happened. But contrary to what European Commission top official Martin Selmayr expected two years ago, Donald Trump was enough to throw decades of Western Alliance down the drain. Looking at the instability and challenges coming from Russia or China, Rutte said that “now more than ever”, Europe must stand united to determine its future. He recalled the description of Europe as a ‘giraffe’ by Dutch diplomat Johan Beyen: difficult to define because of its diversity, but easy to recognise because of the common values. “We don’t have to agree on everything – and we probably won’t today – in order to recognise the value of unity in a fast-changing world,” he concluded. It is good that NL is passing itself for a champion in green growth! Other examples also for the greenwashing of NL, but it is good that France gets it also so that they can understand how it works with businesses. Let us see how the other MSs will react. what is the leader of his group in the European Parliament says? Mr Verhofstadt???? Is it so that you are a critic of Hungary and Poland? Maybe now you can also tell us what you think…. Oh I was about to forget. What about Mr Timmermanns….maybe you have a say also, about the level of democracy in the Netherlands. Or the cat ate your tongue?….. I think nothing will come out the next summit and nothing will occur.